The Fatale brothers, creators of Mini Kiss, the Hottest Littlest Band in the World…. I would like to start by saying I had the biggest love for 80s/Hair-Metal bands and my first love was Kiss, and Gene Simmons. 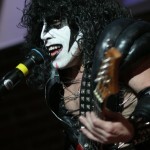 Kiss was created in NYC and Minikiss was born in NYC. Mini Kiss was born on September 1, 1996 when I was moving from one location to another. As I was putting away my Albums/Vinyl I came across my Non-Opened Alive Kiss album which to this day has the Original Lick on Tattoos and separate pictures of each member. When I looked at the album I had this huge thought of having a Little People Kiss Tribute Band. So my first gig was October 30, 1996 when a friend that I always worked for, Andy Hirsh, greatest guy and manager of a club called The Lava Lounge in New York City. 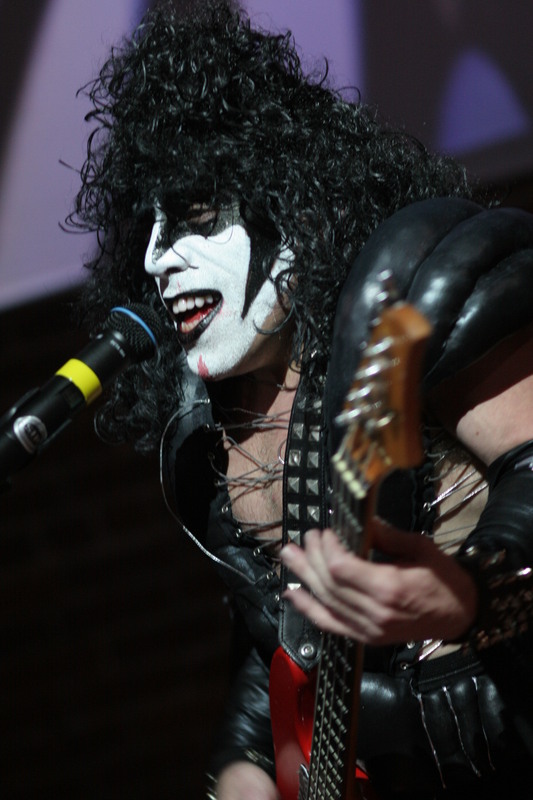 Andy said to me, “I need something different this year.” So I told him about my cool idea Mini Kiss, “it’s a tribute band made up of four little people dressed up like Kiss.” His response: “Joey, that’s an awesome idea.” So I had a month to gather four guys and come up with costumes and make-up. Craig, Mike, Victor and I got all these 80’s clothes, ripped some of them up and threw some paint on our faces. It was corny but the clothes were cool. We get to the venue; have a couple of drinks before show time to loosen up. Our first show was lip-synching to a Kiss CD and playing blow-up guitars like you see at parties. We stood on top of the bar and we sung five songs from the actual Kiss CD. WE WERE A HIT!! Cops had to come because the place was mobbed, but they loved us too!! We took some pictures outside with them. It was so cool. You can see a clip of us getting ready at our first show HERE. After that show we got called from people that knew Andy who wanted us to perform for them. We didn’t even have a set or people, I would just get who was available. It just kept growing and growing in popularity. I guess it was because of the hype of being the Ultimate Band in the world. And BAM Minikiss was born. The legacy continues 15 years later. Joseph Fatale is a PIONEER! !